A three-page letter that was sent to German parliamentarians on August 18 makes sober reading. Commentary: Can Ukraine Shed Its Soviet Skin? It is hard to believe that the election and events that set into motion Ukraine’s Orange Revolution took place nearly nine years ago. The scenes of young Ukrainians camping out on Kiev’s Maidan Nezalezhnosti (Independence Square), demanding that their voice be heard and the will of the people not be ignored, was a moment which many believed was not only an awakening for Ukraine, but also a significant change in the whole of the former Soviet Union. 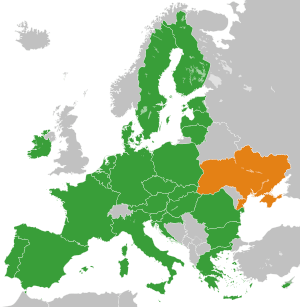 One of the largest of the former Soviet states (excluding Russia) had finally begun to make its first strides towards Europe. 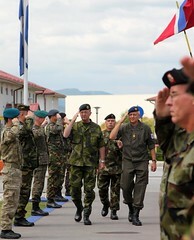 Europe’s military spending is in free fall. As highlighted during a seminar organised by the CER in December as part of the FR-UK Defence Forum, the EU countries combined have reduced defence spending from €200 to €170 billion since the start of the economic crisis in 2008. In response, governments have signed up to a variety of new bilateral and multilateral initiatives. These are designed to limit the impact of budget cuts on their armed forces. But so far, the savings incurred pale in comparison. At the December discussions, participants estimated them at €200 to €300 million. Many sensitivities relating to national security make it hard for governments to implement collaborative defence efforts. But at a time when Europe’s neighbourhood is replete with instability and the United States is scaling back its own armed forces, Europeans need to do more to stem the damage to their militaries. 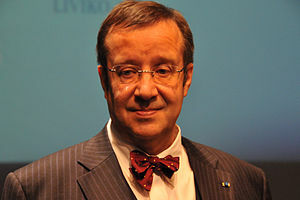 Estonian President Toomas Hendrik Ilves has reiterated his country’s support for Georgia’s plans of integration into the European Union and NATO. Brookings: Are Europeans a Better Transatlantic Security Partner than Meets the Eye?